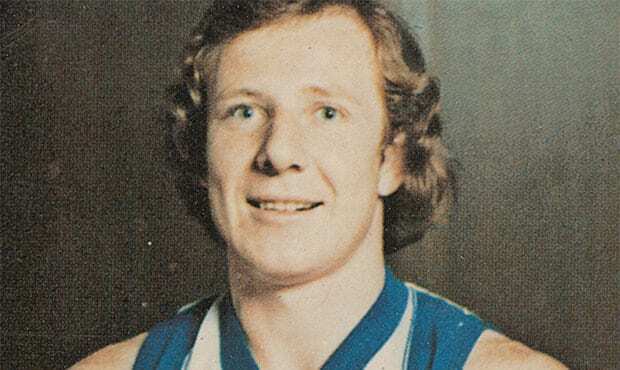 DARRYL Sutton, the enigmatic and charismatic North Melbourne 1977 premiership forward, has passed away. He played 91 games for the Kangaroos between 1973 and 1980 including the drawn 1977 Grand Final and the replay the following week. At 183cm, he was a classic third forward with a huge leap who could turn it on in big games. He kicked five of North's 10 goals in a one-point win over Carlton in the 1976 preliminary final. He crossed to Swan Districts in 1981 and played well enough to win state selection for Western Australia, before crossing back to the VFL and joining Richmond the following year. After a year out of League football he joined Richmond in 1982, but played only played six games before a mid-season transfer to Sydney in 1983 where he kicked 25 goals from 14 games. Sutton was a two-time All Australian and was also the Tasmanian league's leading goalkicker aged 20.